In 1953, a new institution of higher education, the SWIPL (SWIPL), was created on the basis of the law and political science faculties of the Southwest People’s Revolution University as well as the Political Science and Law departments of Chongqing University and Sichuan University, the Law departments of Chongqing Finance and Economy College, and of Guizhou University and Yunnan University. Guo Moruo, a prominent writer and scholar of China, inscribed the name of SWIPL. General Zhou Baozhong, the First President of SWIPL, was the commander in chief of the second unit of Northeast Anti-Japanese Amalgamated Army and a national hero in Anti-Japanese war. In 1958, Chongqing Branch of China Central Police College was merged into SWIPL. In 1977, with approval from the central authorities, SWIPL resumed of students enrollment. In 1978, the Southwest Institute of Political Science and Law was approved by the State Council, as a key national university, which was the only one among all colleges and universities under the administration of the Ministry of Justice. In 1978, SWIPL took the lead in the national colleges and universities of political science and law to open three undergraduate majors： Science of law, Philosophy and the History of International Communist Movement. Among which, enrollment of law major accounted for one half of the national total enrollment. In 1979, SWIPL began to enroll LLM postgraduates and national first undergraduates of Criminal Investigation major. In 1993, with approval from the Academic Degrees Committee of the State Council, SWIPL was qualified to confer doctor’s degree. 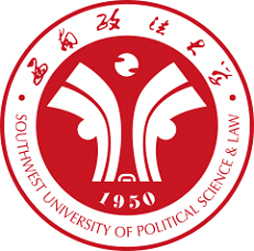 In 1995, with approval from the former State Education Commission, SWIPL was renamed as the Southwest University of Political Science and Law. In 1995, the Academic Degrees Committee of the State Council determined SWUPL as the first pilot institution qualified to confer the professional Juris Matter’s Degrees. In 2003, the Academic Degrees Committee of the State Council approved SWUPL as one of the first group of colleges and universities with the first level discipline of law to confer doctor’s degree. In 2004, with approval from the national Ministry of Personnel, the first postdoctoral mobile research station of law was set up in SWUPL. In 2007, the University was accredited to be "Excellent" in the Undergraduate Education Accreditation by the Ministry of Education. In 2008, SWUPL was designated by the Ministry of Education as one of the priority universities in Chongqing. In 2011, all postgraduate students were relocated from the Shapingba campus to Yubei campus. Since then, all undergraduate students, master students, and doctoral students of the university have been able to receive their education on the same campus. In March 2012, with approval from the Ministry of Education, SWUPL became the pilot college for autonomous enrollment. In August 2012, with approval from the Ministry of Education, SWUPL became the first batch of cultivation and education base of outstanding legal talents, with cultivation and education bases of applied and multiple legal professionals, international legal talents as well as western grass-roots legal talents included. In October 2012, the Ministry of Education and the Chongqing Municipality entered an agreement on co-sponsored development of SWUPL. In 2014, the Human Rights Education and Research Center of SWUPL was included into the elite club of national-level humanities and social sciences research bases.